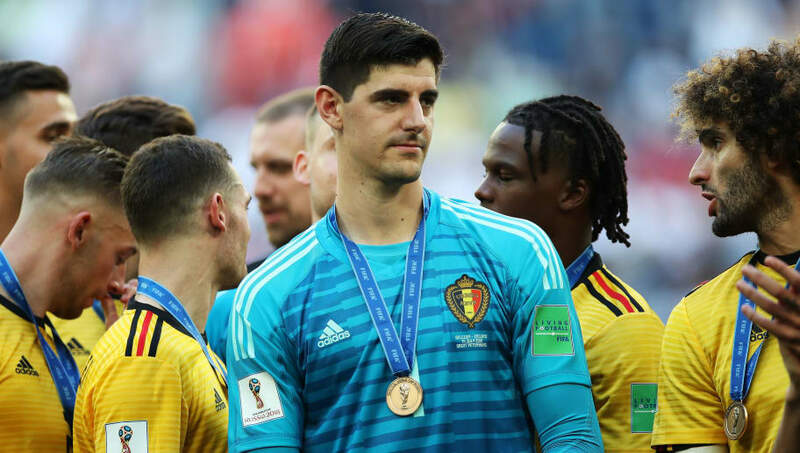 Chelsea goalkeeper Thibaut Courtois is on the brink of officially becoming a Real Madrid player, with the Belgium international set for a medical with Los Blancos on deadline day, according to reports. It has been speculated for some time that Courtois could complete a €35m move to the Santiago Bernabéu ahead of the new season, with the 26-year-old available at a cut-price as he is entering the final year of his contract at Stamford Bridge. Talks between the two clubs were put on hold while Chelsea tried to identify a replacement but as a move Athletic Bilbao goalkeeper Kepa Arrizabalaga nears competition, the Blues have given the green light for Courtois' exit. Courtois skipped training with the Blues at the start of August in an attempt to force through a move to Real Madrid. And despite holding talks with manager Maurizio Sarri, the former Atlético Madrid star has insisted that he wants to return to the Spanish capital. The Belgium international will now get what he wants as it is understood that Chelsea target Kepa is arriving in London to complete a medical with the club after the player's €80m release clause was met. ✍ Real Madrid expect Thibaut Courtois in Spain for his medical tomorrow. There is an agreement over a 6-year deal. Real Madrid star Mateo Kovačić is also in England to complete a medical ahead of a season-long loan to Stamford Bridge, while outcast midfielder Tiémoué Bakayoko looks set to join Italian side Milan on a short-term deal before the transfer window closes.